for PDF files for prepress? 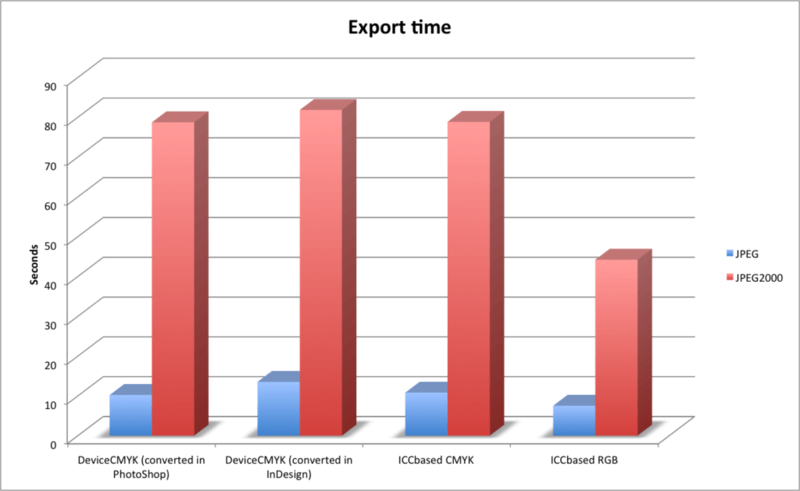 For the new Adobe InDesign export settings V2.5 for PDF/X-4 CMYK+RGB from PDFX-ready the technical committee of PDFX-ready has investigated if a change of the compression method from the traditional JPEG to the newer JPEG2000 would be useful. 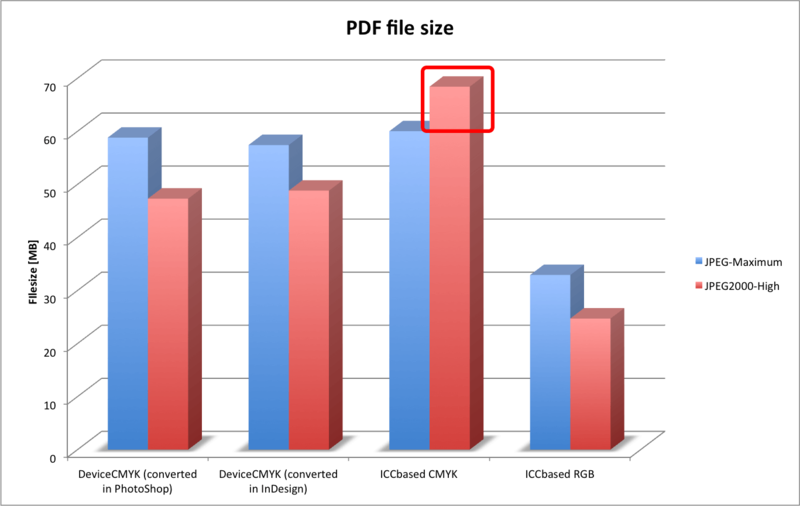 We already knew from tests of the Ghent Workgroup that not all PDF viewers (especially on mobile devices) can handle PDFs with JPEG2000. With other PDF viewers (including Acrobat/Reader) displaying JPEG2000 images is much slower than JPEG images. But after all we wanted to know if we could recommend JPEG2000 compression for prepress data. That’s why we decided to perform a series of practical tests with a calendar with highres images in different color spaces (Device-CMYK, ICC-CMYK, ICC-RGB). Peter Kleinheider has done the output tests with two different RIPs and I did the export tests with Adobe InDesign CC2017. When comparing the test results we noticed some unexpected surprises! This behaviour has been reported multiple times to Adobe but the wrong setting is still part of the lastest version InDesign CC2017. 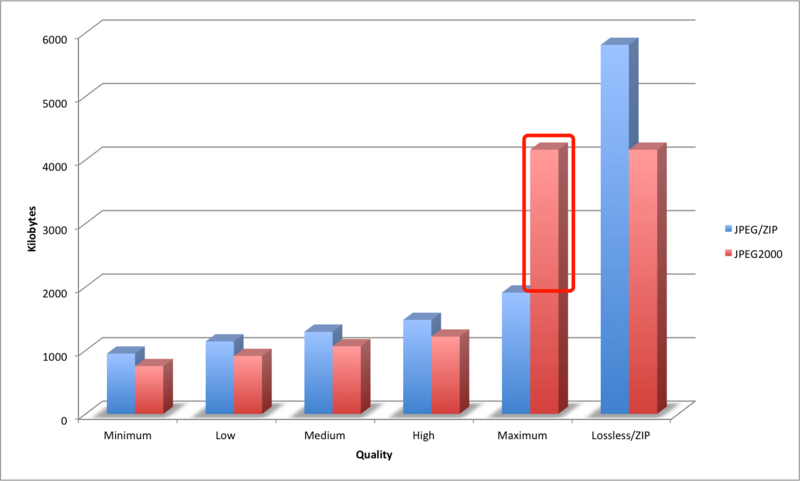 For JPEG PDFX-ready is recommending maximum quality. 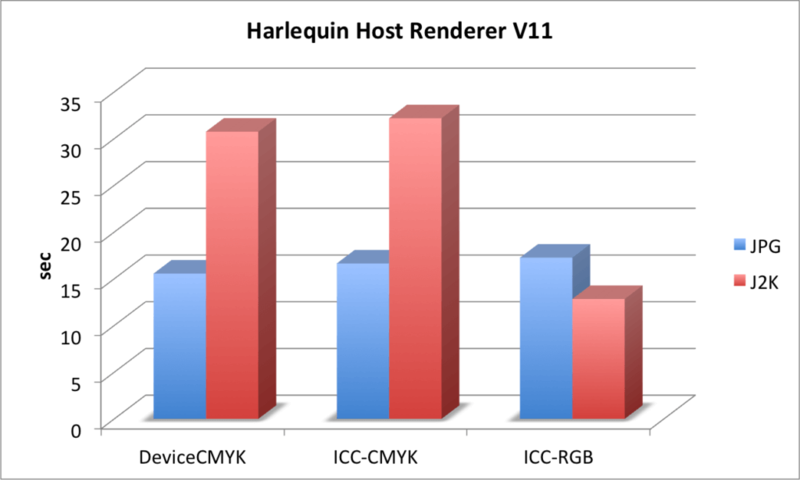 But when using maximum quality for JPEG2000 the InDesign users get punished with much bigger file sizes. The InDesign PDF export using maximum qualitiy for JPEG2000 leads to unnecessary big files sizes and is therefore not recommended! For all of the four variants a PDF was exported using JPEG with maximum quality and an other using JPEG2000 with high quality. 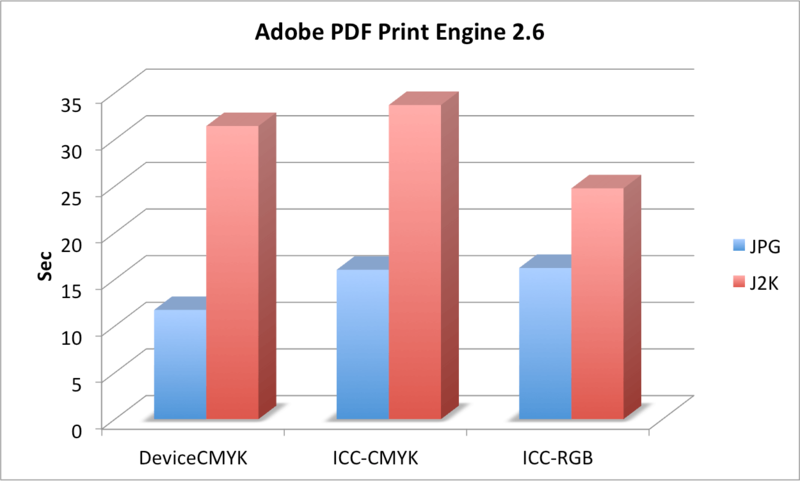 As expected the PDF files containing JPEG2000 compressed images are significantly smaller; except for CMYK images with embedded ICC profile! PDF export using JPEG2000 takes much longer than JPEG export. Ripping PDFs with JPEG2000 compression takes much longer. This was confirmed by users who were running into problems ripping with JPEG2000 files. Using JPEG2000 compression for prepress files with the current implementations has huge disadvantages. A small reduction of the file sizes must be paid with a massive increase of export and output times! Consequently PDFX-ready has decided to not introduce JPEG2000 compression at the moment. Please share your experience with JPEG2000 in the Comment section below.